China Shaolin temple has many legends and mysteries surrounding it. The China Shaolin Temple is located in the Song Mountains in Deng Feng city and is about 50 miles southwest from Zhengzhou City, the Capital of Henan Province. Many foreigners travel to China to visit the Shaolin temple and other historical places. 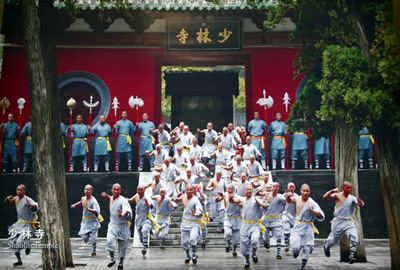 The Shaolin temple is the origin of Chinese martial arts and kung fu. It is well-known for being one of China's most important Buddhist shrines and is an ancient center of Chinese kung fu. At first, Shaolin kung fu was taught only to the monks in the temple, and these monks were well known throughout China for their excellence in martial arts. Later, secular disciples were accepted, and after graduating from the temple, these disciples who had come from all parts of China returned home to spread what they had learned. During the Northern WEI Dynasty, Batuo, an Indian monk, came to Luoyang to spread Buddhism. Emperor Xiaowen was a believer of Buddhism so he decided to build the temple in the Song Mountains to house Batuo, who translated many Buddhist works and had a few hundred followers there. 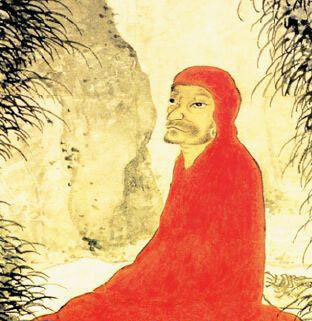 Damo (Bodhidharma), the legendary Indian monk, came to Shaolin in 517 and was the creator of Chinese Zen. There are many legendary stories about him and one well-known story says he was meditating in a cave for nine years. The cave is now called Damo Cave. Many people believe he wrote the famous Yijinjing, the base of Shaolin martial arts, kung fu, and Gongfu. But there is no record about the book before and during the Tang Dynasty (618-907), so experts think Damo had little to do with Shaolin Gongfu. Zongheng, a Taoist priest of Tiantai Mountain, wrote "Yijinjing" in 1624, but to add mystery to it, he made up a story saying 'Yijinjing' was originally written by Damo. Shaolin does have a long tradition of Chinese martial arts, as you may know the saying that goes 'All martial arts (gongfu) are from Shaolin.' This is partly because Shaolin was located in a strategic area so the Chinese had to protect the temple during wars in the early period of the Tang Dynasty. When 13 monks of Shaolin saved Li Shimin (a Prince), they were highly praised for protecting the state. Afterwards, the Tang Dynasty continuously gave the Shaolin Temple money and resources to build pagodas and halls. The emperor and empress often visited the Shaolin Temple, which was then honored as the treasure place of Buddhism. In the Song Dynasty, the Shaolin Temple was developed, and during the Yongxi period of the Song Dynasty, Shaolin Temple reserved over 9,500 volumes of the Buddhist Scriptures. The Shaolin Temple was titled as the "First Temple of the world" . The Yuan Dynasty was the resurgent period of the Shaolin Temple. The famous monk, Fuyu, presided in the Shaolin Temple, "allowing difference and preaching Buddhism, and always giving charity to visitors coming from time to time." 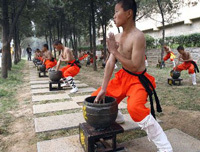 In those days, there were over 2,000 monks even before Shaolin Kung Fu developed further. During the Ming Dynasty (1368-1644), Shaolin housed over 1,000 solder-monks at its peak and they were often used by the government to combat rebellions and Japanese bandits. But martial arts were forbidden during the Qing Dynasty (1644-1911). Even with the protection of solder-monks, Shaolin was severely damaged by fire a few times. The largest fire set by the army of Shi Yousan in 1928 destroyed most of the buildings that were part of the Shaolin Temple. During the Qing Dynasty, the Shaolin Temple was totally renovated and expanded. In the 13th year of Emperor Yongzheng (1735), the emperor personally came to the temple to receive the finalized program for refurbishing the gate and the thousand-Buddha hall. Around 1750, Emperor Qianlong came to the Shaolin Temple in person, spent nights in the Abbot's room, wrote a poem in his own handwriting, and set up a monument.